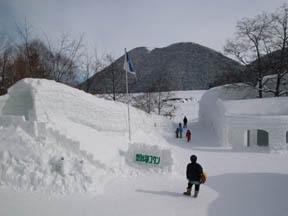 [Outline] Hokkaido Shikaribetsu @Shikaoi-cho, Kato-gun The Shikaribetsu Ainu village of winter is an on-the-ice open-air bath. 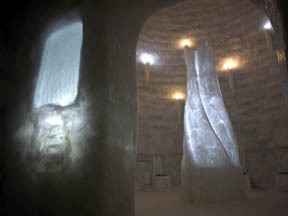 It was impressed very much by modeling of the of art and mystical ice and light which are seen in a village without the figure of a visited-three-years-continuously Shikaribetsu lake Ainu village and the evening early hours of the evening, an ice bar and an igloo, and the on-the-ice open-air bath.it is the hot spring decorated with the finale of the Hokkaido sightseeing of a severe winter January, and is Hokkaido too absolutely in winter -- the thought ! 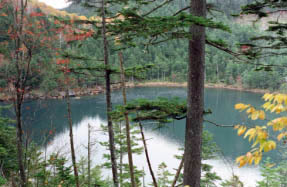 was strengthened further.It was one hot spring of appreciation in the whom who which conceives this bath and is built.If it is the hot spring which the bathtub completed by the ardent love through the failure of sinking in a lake about twenty years ago after trial and error when I heard later.It is surrounded by south and a north Mt.Petoutoru, a Mt.Hakuun, the Mt.Tenbo, etc., and they are [ in Hokkaido ] an enough natural lake "Shikaribetsu lake", therefore the made world of the false Arctic Circle at the maximum height. 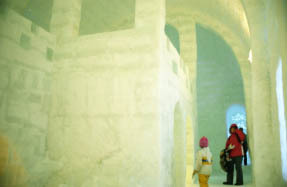 Much natural experience program which leads the four seasons is also prepared. 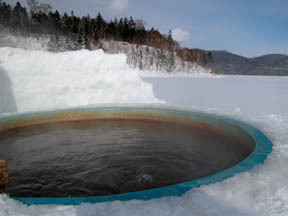 The hot fountainhead is free-flowing-hot-spring-water and on-the-ice open-air bath '05. 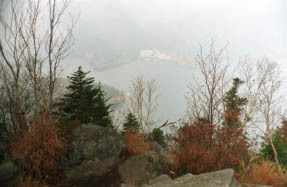 There are no people who come down to the lakefront, and it is a mystical Komadome lake. 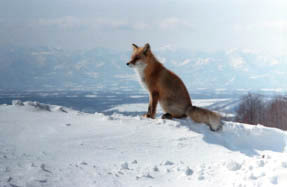 The chirp of a Mt.Hakuun pika and the chipmunk have been observed. 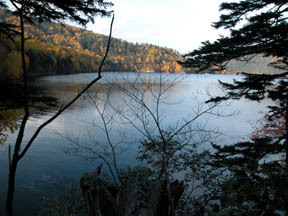 They are about 75 minutes and a trailhead about trailhead-about 90 minutes, and Mt.Hakuun-about 60 minutes, and Mt.Tenbo-about 75 minutes, and the Shinonome lake-Shikaribetsu-lake lakefront. 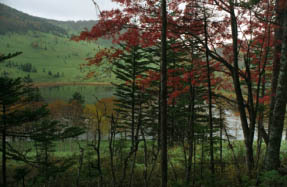 Shinonome lake: It is a mystical lake which does not have a way which goes to one of the Hokkaido 3 Large mysterious lakes, and the lakeside, and is in untouched green literally. Neuralgia, muscular pain, the arthralgia, a frozen shoulder, a motor paralysis, and a joint bruise [ a harden and ] - Break, and they are hemorrhoids, oversensitivity to cold, after [ - chronicity digestive disease and the illness ] convalescence, recovery from fatigue, health enhancement, a cut, and a burn.